Nancy wanted to be a teacher from an early age, but only realized that ambition after having worked in other fields. When she began teaching aged 35, she chose a low-income urban area so that she could make a real difference by motivating even reluctant learners to go on and succeed. She describes her approach at Revere High School, Massachusetts as ‘teaching grit’. She aims to create engaging and effective lessons that help students become stronger readers and writers – and critical thinkers and problem solvers. She focuses on learning through discovery, and her classes require extended thinking, investigating and processing multiple conditions. In order to engender a sense of multicultural awareness and responsibility amongst her students, she brought into her school the Axis of Hope workshop that brings matters of international importance, like the Arab-Israeli crisis, into the classroom. Nancy goes to great lengths to forge partnerships with parents – a particular challenge when there is a language barrier. She seeks out the formal and informal leaders of the community, including community organisations, the police and gang leaders, and helps immigrant families deal with the authorities. 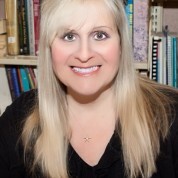 Nancy has won several teaching awards and is a National Board Certified Teacher as well as a professor in the Graduate School of Education at Emmanuel College in Boston. She publishes articles and conducts a large number of teacher training workshops at school, district, state and national level. She has also been active in a range of teaching-related associations and committees.